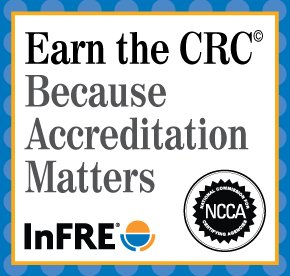 We’ve noticed recently that some CRC® Certificants are not properly displaying the marks on their business cards, email signatures, or on LinkedIn. Because the CRC® and Certified Retirement Counselor® marks are trademarked, it is important for all Certificants to properly display the marks in commerce. CRC® Certificants are essentially “licensed” the right to use the marks to indicate that they currently meet all the requirements necessary to be a Certified Retirement Counselor®. By all of us doing our part to protect the use of the marks, we maintain their value. Here is a reminder of how to properly use the marks, excerpted from the CRC® Program Policies Manual, beginning on page 21. 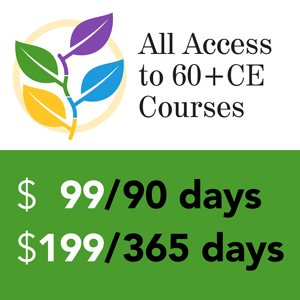 Use of the Certified Retirement Counselor® and CRC® marks is limited to those qualified Certificants who have been granted the certification by the Board of Standards (BOS), who remain in good standing, and who satisfy all other certification and renewal requirements established by the BOS. Permission to use the certification mark is limited to the Certificant, and may not be transferred to, assigned to, or otherwise used by any other individual, organization, or entity. Trademark Symbol. The appropriate trademark symbol must be used every time the trademark appears. Certified Retirement Counselor® and CRC® are acceptable; Certified Retirement Counselor and CRC are not acceptable. Italics and Font. InFRE prefers that you present any trademark in italics; however, you may use a non-italicized format if you wish. There are no prescribed fonts or colors that you must use for a trademarked phrase or certification; you are free to use your best judgment and own sense of style when it comes to font selection and color choice. Capitalization. Always capitalize the first letters in Certified Retirement Counselor®. Always capitalize all letters in CRC®. Abbreviations and Hyphenations. Do not abbreviate any of the trademarked full names. For instance, do not use “Cert. Ret. 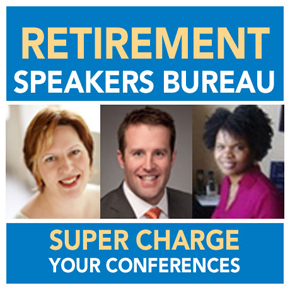 Counselor” for Certified Retirement Counselor®. Do not hyphenate any trademark. For example, do not use Certified-Retirement-Counselor®. Trademarks as Adjectives. Always use the trademarks as adjectives modifying the Certificant’s name. For example, John Smith, Certified Retirement Counselor®, or John Smith, CRC®. Trademarks for People, not Firms. Always use the trademarks as adjectives for individual people, not groups or firms. 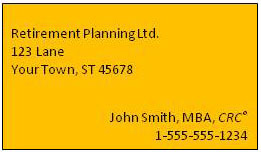 For example, John Smith, Certified Retirement Counselor® is acceptable; Retirement Planning Ltd., CRC® is not acceptable. The following are examples of acceptable use. The same guidelines apply as for print usage. Trademarks should not be included as part of an e-mail address nor a web site address or domain name. jscrc@business.com and www.retirementplannerscra.com would NOT be acceptable use. InFRE trademarks should always be attributed with the proper symbol on all presentations that are displayed to the public (sales, educational, seminars, trade shows, etc.). Please let us know if you have any questions about how to use the marks in your business.